Caronositol® is natural D-Chiro-Inositol (DCI), inositol that Biosearch Life extracts from the fruit of the carob tree. DCI helps to maintain the physiological balance of women with polycystic ovary syndrome, its benefits have been described in a large number of scientific studies. The multicenter, randomized, double-blind, controlled clinical study conducted by Biosearch Life on women with polycystic ovary syndrome (PCOS) and fertility problems has been published in Gynecological Endocrinology. The results show a significant increase in the pregnancy rate of 65.5% after treatment with 1,100 mg MYO +300mg DCI (ratio 3.6:1) compared to 25.9% in women who received the 40:1 ratio. 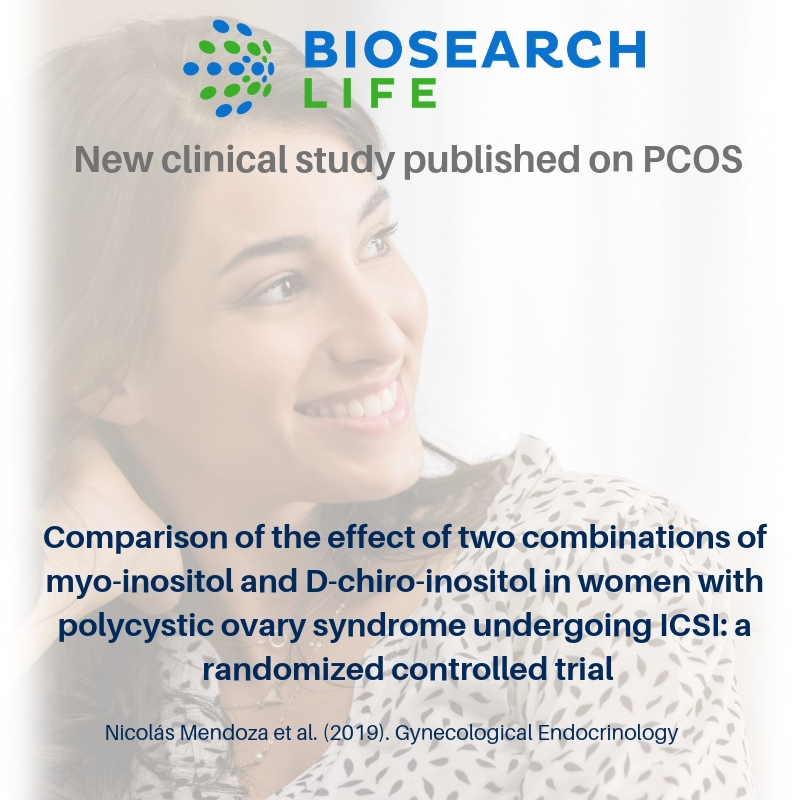 With these results we can conclude that the combination of MYO-DCI in high doses of DCI improves pregnancy rates and reduces the risk of OHSS in women with PCOS under ICSI.